FTV Proclad International Limited specialise in providing integrated corrosion resistant clad solutions for HPHT and sour service environments. 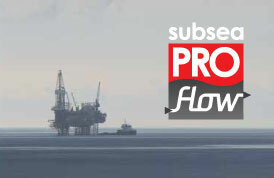 Our expertise in Weld Clad Overlay, Machining, Inspection and Fabrication, provides a total turnkey package for Subsea Manifold Equipment, X-Tree Flowloops, Dynamic and Static Riser applications, Flowlines and Pipelines. Our 25 years’ experience in weld clad products, including engineering design and full project management, ensure our client requirements can be handled from early engineering support, material procurement, all the way through to final onsite installation support, offering a “one stop shop” for all our client base. The automated protective clad surfacing systems apply high integrity corrosion resistant alloys, including Inconel 625 and 825, Alloy C276 and C22, 300 and 400 series Stainless Steels. This is to a variety of substrates such as Carbon Manganese, Low Alloy, Martensitic and Ferric Stainless Steels in sizes from 2” (50mm) and above, and approx wall thickness of 0.43” (11mm) and above. This CRA clad process is proved to significantly enhance the service life of new components and cladding material types and thicknesses can be selected to meet the service environment. Every component part of a pipeline system can be clad. 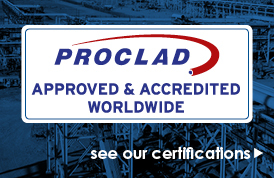 Proclad’s total commitment to on-going research and development enables Proclad to continually enhance its full range of products to provide a high standard of quality and service, and subsequently ensure Proclad remain the worldwide market and technological leader in the protective weld cladding of pipeline components and are licensed under API specification 5LD for the processing of clad steel pipe.